IM Jay Bonin is the Iron Man of New York Masters events, having played in every one of the 130 tournaments! 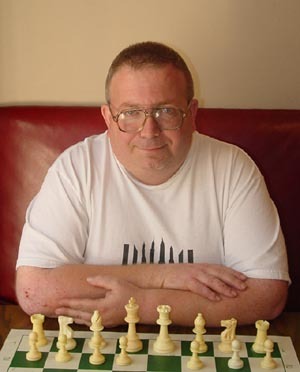 IM Jay Bonin is one of the great legends of New York Chess. Having played literally several hundred games a year for decades now, he's a permanent fixture in New York chess houses and all over the east coast. Recently, he achieved something never before done, winning the "Triple Crown" of New York chess events: The New York State Championship, Manhattan Chess Club Championship, and Marshall Chess Club Championship all in the same year. A dangerous practical player, he's beaten more GMs than most titled players have had the pleasure of playing, this taking his rating over the 2500 mark at various points in time. Due to a rough streak his rating has been reduced by a hundred points or so, but his practical knowledge and fighting spirit still remain, and his famous "Bonin Knights" are still dangerous to any player in any tournament. There's no doubt he will be a dangerous presence in these events, regardless of his score. To date Jay Bonin is the only player to have played in every single NY Masters, and I don't see this streak stopping any time soon.